he was responsible for modern psychiatry’s emergence as a rigorous and heuristic branch of medicine that is constantly invigorated by the basic sciences. In 1950 he became the Scientific Director of the newly established National Institute of Mental Health. 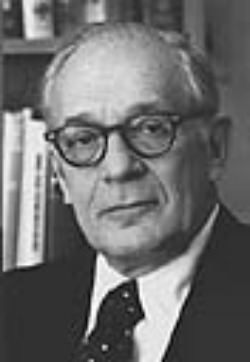 Dr. Kety, who was Professor Emeritus of Neuroscience in the Department of Psychiatry at Harvard Medical School at the time of his death in May, 2000, received the 1999 Albert Lasker Special Achievement Award in Medical Science, the most recent in a series of distinguished honors and prizes. In establishing the foundations of present-day brain research, Kety wove together physiology, chemistry, and morphology in a new understanding of human behavior in health and disease, including the severest of mental diseases, schizophrenia. He truly opened the way to the utilization of basic science for the common welfare of society.